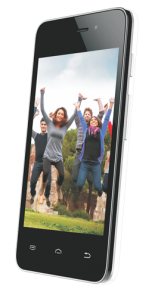 Celkon mobiles has launched two new budget android smartphones with entry level specs, the A66 and A64. Both A66 and A64 comes with dual core processor and lacks 3G feature. The handsets would compete with Lava Iris 503 and 352e. The A66 is powered by 1.2Ghz dual core CPU paired with 512MB of RAM and has 4.5 inch FWVGA resolution display (854×480 pixels). It houses 2000mah battery and runs on Android 4.1.2 Jellybean OS. It comes with 4Gb of ROM, 32GB via micro SD card and has standard connectivity options, such as 2G, WiFi, Bluetooth and GPS. The phone packs with 3.2MP rear and a front facing camera. The A64 has 4 inch capacitive touch screen display with 320 x480 pixels resolution, 1.0GHz dual core CPU and runs on Android v4.2.2 Jelly Bean OS. The weight of the handset is 125.6 grams and has 10.5mm thickness. It has 2MP rear and 0.3MP front camera and to make the handset alive there is 1400mAh battery. Both the smartphones are priced under INR 7000.